At this year’s international symposium of the Centre for Art Market Studies at TU Berlin – organised in cooperation with the Forum Transregionale Studien and its research programme Art Histories and Aesthetic Practices – participants will be exploring the background, mechanisms and consequences of a phenomenon that may be referred to as the „global power of private museums“. Additional Information: Admission is free. No registration required but space is limited. Conference language is English. 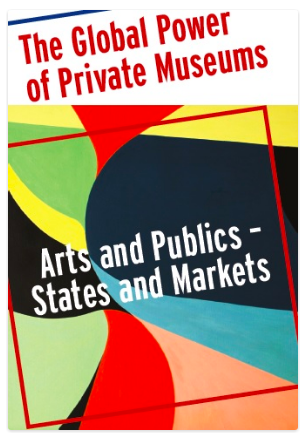 Reference: CONF: Global Power of Private Museums (Berlin, 16-18 Nov 17). In: ArtHist.net, Nov 1, 2017. <https://arthist.net/archive/16628>.